The Carriage House at the Paine Art Center and Gardens in Oshkosh is a nice and quiet place for a bride and her attendants to get ready. The rooms have beautiful natural light. 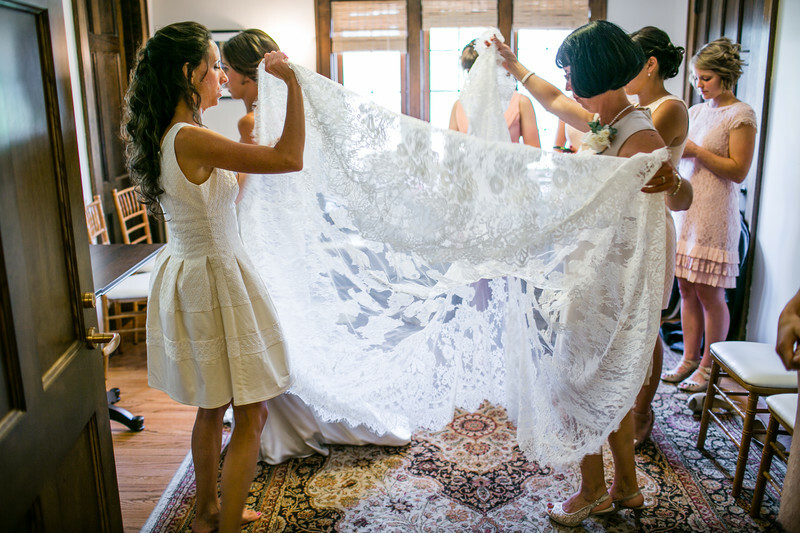 For this photograph the bride had a second layer to her dress with was very lacy and very beautiful. Here the mother, sister and brides maids are helping her put it on. 1/40; f/2.0; ISO 100; 35.0 mm.